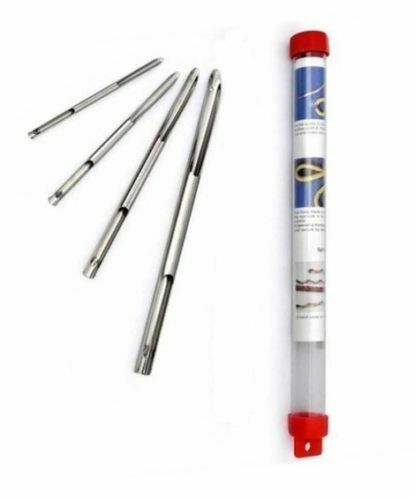 Set of 4 Selma Splicing Fids. 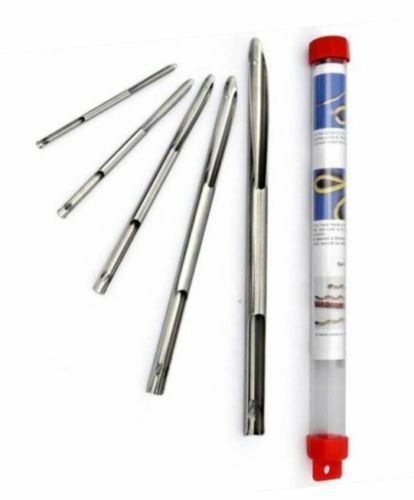 Selma Fids (Needles) are made from highly polished stainless steel. They are patented Worldwide and each fid is embrossed with a manufacturers mark for authenticity. They are used for splicing doublebraids (braid-on-braid rope), 3-strand construction ropes & also hollowbraids ropes. They come in a protective case complete with detailed illustrated instructions. They are used in the marine, equestrian (Parelli), arborist & industrial rigging sectors for splicing Loop splices, eye splices, back splices & end-to-end splices. They can splice braid on braid rope from 6mm to 16mm, 3-strand construction & Hollowbraid ropes from 4mm to 20mm. By far the cheapest i could find on-line, great product at a great price. Thank you.